All of your Locksmith and Security needs in one company. I am here to provide the best in Sales and Services. From High Security lock hardware to overall access control upgrades, I am here to help keep your business safe and secure. The Automotive industry is changing everyday. I keep pace with the state of technology when it comes to your car's locks and keys. I am a Certified Automotive Locksmith. From your house to your office, I can open, service and repair many types of safes. I am also a Certified GSA Safe and Vault Technician and Re-certifier. 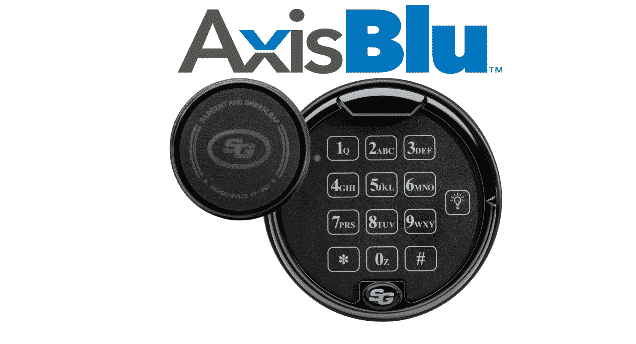 Sargent and Greenleaf has released its newest lock technology: Axis Blu. Now you can access your safe with an app from your mobile device. Please enjoy the video!